Maybe this post should be the first of the firsts because it's about how to start your CSS. Then again, you should be able to understand what exactly it is you're doing so I'm not too much late with this. 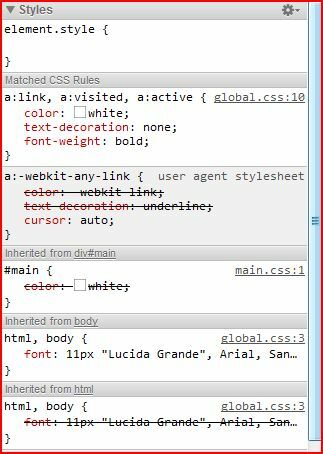 This was the basic CSS Reset. Some of the most common elements that are styled differently among different browsers are hyperlinks (<a>), images (<img>), headings (<h1> through <h6>), and the margins given to various elements. It is a well-known fact that browsers add a certain amount of padding to almost everything. Every browser has a default HTML formatting and you can see it under "user agent stylesheet" in inspect mode. If style is added for the specific element, its default browser formatting is overwritten. Some of defined styles are pretty standard (ones for <a> and for <ul>), some are added to help accesability (ones for <abbr> and <dfn>) and some are added extra (<hr>). Instead of CSS reset, some developers use CSS normalize (and some refer to it as “the new reset”). While reset is used for wiping everything out and making your project "tabula rasa", normalize keeps good practices while neutralizes cross-browser style inconsistency. I will write about CSS normalize in the future for sure. Until then check this post. It is not necessary to Reset your CSS, but it is to be aware of pre-styling of browsers and CSS reset existence. For move after about what to do after the Reset is added in CSS subscribe to our newsletter.